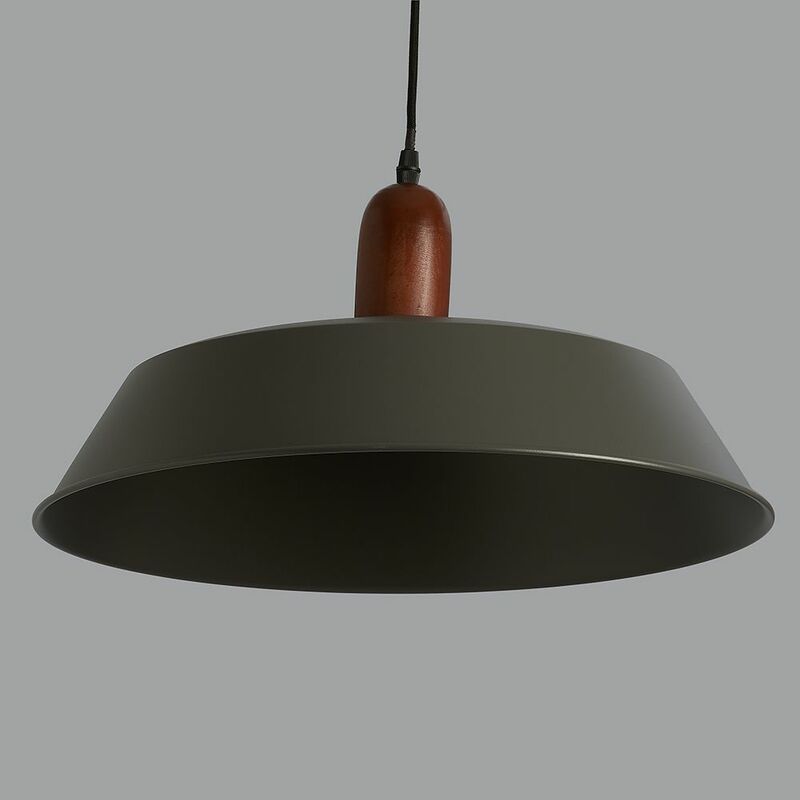 This dark grey and wood pendant light comes in at 46cm diameter, so can take on rooms and spaces of most sizes. They look good on their own or in 2s or 3s etc. 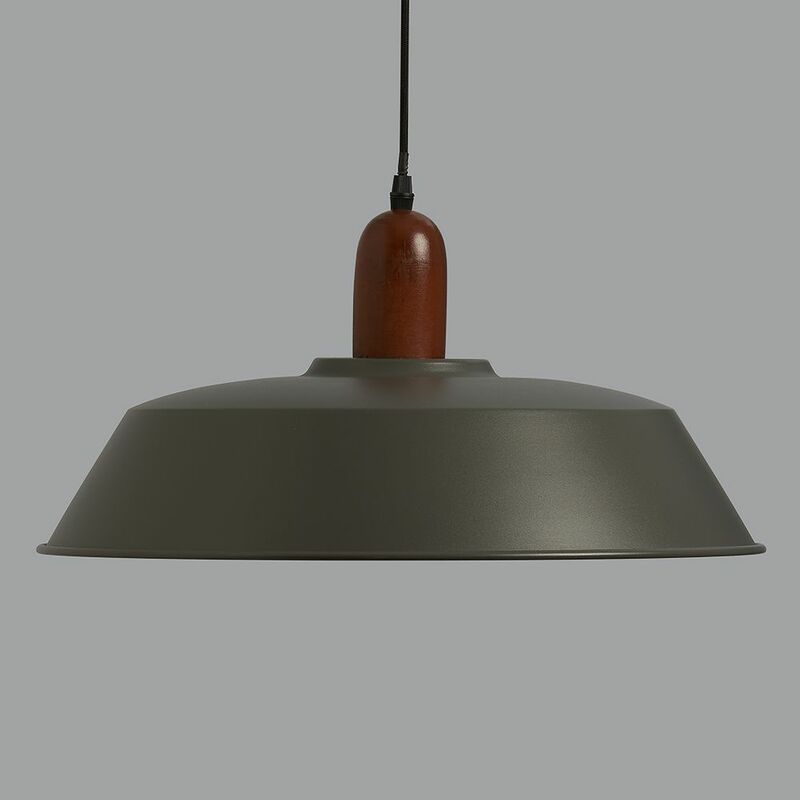 They come with approximately 80cm of fabric flex that can be shortened to any length and a matching ceiling rose, as shown. 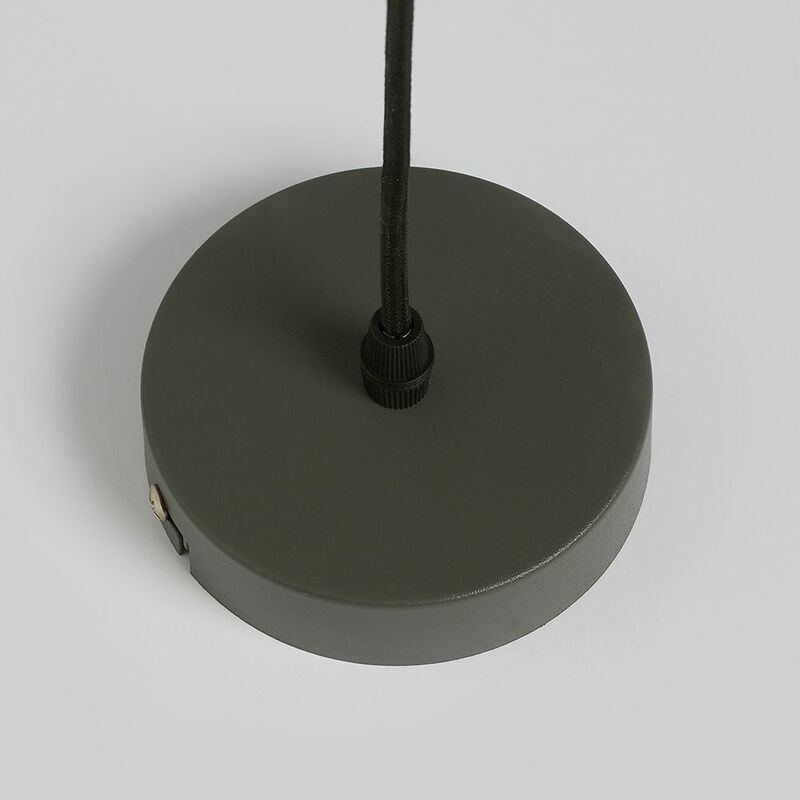 Approx: 46cm dia x 22cm high.